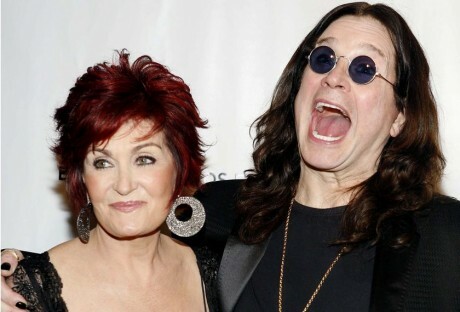 Ozzy and Sharon Osbourne didn't tell anybody they were renewing their vows, not even their kids. The Black Sabbath star and TV personality celebrated their union in an intimate ceremony held in Las Vegas earlier in May, a year to the day Sharon found out about his affair with a hairdresser. The couple, who briefly separated following the revelation, are parents to three children Aimee, Jack and Kelly, but opted against involving them in the day as they wanted it to be just about each other. "It was just for us," Sharon explained to Britain's Hello! magazine. "I didn't want lots of people there making it into a big old party." Ozzy added, "It was about me and Sharon. With big weddings, you're doing it for everybody else. It's been amazing. I honestly feel as though this was our real wedding. day." The 68-year-old came up with the idea for the ceremony as a way to wipe the slate clean and start a new chapter. "I called Sharon up and I said, 'How would you feel about recommitting to me? Let's go to Vegas next week and do it," he recalled, while Sharon admitted she agreed to it because he had been working hard to make amends and she felt like they'd "fallen in love again". The rocker's voice broke with emotion as he exchanged his vows, telling Sharon, "I can honestly say, without you I am nothing. My commitment today is stronger than it has ever been - I will respect and cherish you to my last dying breath." Sharon, 64, also had tears rolling down her face as she addressed her "darling husband" and thanked him for "coming home", according to the magazine. “This is a new beginning. I think that everyone should reaffirm their marriage," Ozzy said. "I walked out of the ceremony feeling completely refreshed: I know my wife loves me and she knows how much I love her. I’m excited for whatever our future holds."